Top-seeded South African Shaun le Roux triumphed in the inaugural Northumbria Openwhen he beat India’s Mahesh Mangaonkar in the first PSA World Tour squash event ever to be staged in the north-eastern English city of Newcastle-upon-Tyne. 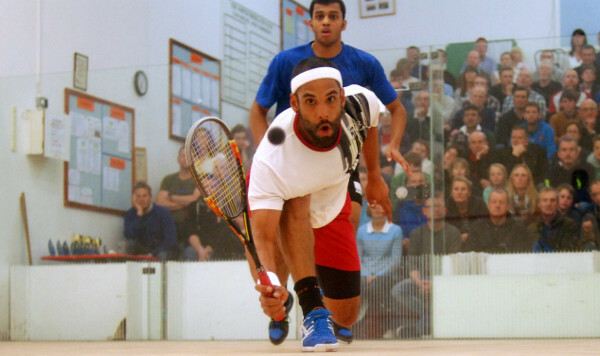 The UK-based 27-year-old from Cape Town was in commanding form in the PSA Challenger 5event, reaching the final at the Northumberland Club without dropping a game. Mangaonkar, the No.3 seed from Mumbai, made his breakthrough in the semi-finals when he fought back from two games down to upset second seed Kristian Frost Olesen in a 102-minute five-game marathon – the 20-year-old Indian’s longest winning performance on the PSA Tour – to reach his fifth Tour final. And the fast-rising young Mangaonkar, ranked a career-best World No.74, earned the distinction of being the first to win a game against the event favourite when he took the third in the final. But Le Roux, ranked 55 in the world and celebrating his 14th final appearance on the PSA Tour, quickly regained control of the match – taking the fourth to clinch an 11-7, 11-8, 7-11, 11-3 victory in 56 minutes. 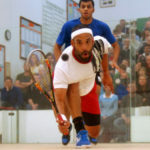 “I got a good start but he fought back well,” said the triumphant South African after claiming his ninth PSA Tour title. “I managed to get in front again in the fourth, I think he was feeling the effects of last night’s long match.